Thank you for sharing your knowledge, it has given me a new outlook for the future. - E.D. Here in Malaysia I have read two of your books, Short Term Futures Trading and the Market Masters a number of times. I really love the section on trader psychology and it definitely helps me a lot on my trading. Thank you. - A.J. Thank you for your course (it) takes a lot of guess work out of trading! - D.B. I enjoy your weekly advice. I also like the way you present information regarding the psychological aspects of futures trading. - R.H. Thank you for your outstanding web site. I have been visiting your site off and on for more than a year now and I've found your recent educational comments to be very informative. Your comments go straight to the core of successful trading in the real world. - J.B. I'd just like to say that I find your comments very insightful and thoughtful. I really appreciate all the effort that you have put into researching the markets and then displaying the fruit of that labor. Your seasonal work is the best that I have seen and I am currently using your key date futures seasonal trade disciplined approach with a second account successfully. Thank you for your comments. - L.P.
Luckily I just happened upon your web site and already good fortune has struck. Thank you for your free guidance. - W.R. Thank you for your weekly updates on the markets, very helpful. So far I have only had two small losers. Much of this I give credit to you with your seasonal studies. Thank you for your studies are more than worth it. - T.H.T. The Fact that you will go the extra step for trades, it says much for your character..and therefore YOU are the people we buy from! - P.
My names is Steve and I bought your program. I just wanted to say, Thanks. I wish people would buy this course for themselves. - S.V. I truly believe your market letter on the Web to be very valuable to me, as it offers a lot of insight to what your seeing taking place, and your experience in these markets. I've been a reader of your market letter for over a year now, and your recommendations and insight has proven to be quite correct. I also want to say about yesterday's mini-crash that took place, and should be commended for quite possibly saving several thousand people their hard-earned money. Keep up the good work Jake! - D.H. I am a novice trader, and I read your free letter every Monday night. I wish I had been able to follow your plan. - B.B. I wanted to send you a note to thank you for all your work on your weekly report. - M.H. I just had to get in touch and thank you for making your theories and thoughts available on the internet, they are much appreciated. - S.G. I want to thank you for your work. It has given a spark of enjoying life again. Thanks again (for helping a total stranger have new dreams). - D.G. You are one of the few (hard to find in futures business) trading advisors who doesn't hype and provide the honest service at the low cost for the general public I appreciate your integrity and honesty. Please keep it up. - S.D. I just wanted to thank you for the information that I've gotten off the net and your course. I just started my trading days this month, with the help of God and your info along with info from the net, it will all go well. Only time will tell, but no matter what happens, you opened my eyes to a great opportunity, for that I thank you. - D.R.D. Then Tuesday comes along! Incredible. I was getting long gold on Friday and Monday so was ready for Tuesday, not expecting anything dramatic to happen, but instead cleared $20,000 on the day, plus a profit on Silver and Palladium! This was thanks to you. Best wishes - M.
Hi Jake - The ETS8 session 3 was another good one, best things were the spike resistance and the price pattern. I recently purchased profit maximizing strategies, this was a great presentation and one that will make me more profitable. Highlights were how to use the parabolic to catch more of the move and the subject of trading pure markets. - Regards, B. - P.S. I am yet to find anything that I think could be improved in your webinars. I apologize to you for having been totally remiss in not writing you on this subject much earlier. I am always thankful for your commtment to us in your webinars and do not believe that there is anyone else who would go to the length you do in teaching your analysis,your thoroughness and patience with us. Like a gig saw puzzle the pieces all fit togther. It is no wonder that so many people are afraid of the market. We are the most fortunate students to have you as our mentor. There is no end to your proverbial mile in teaching us You are the best. - D.F. About a week (or more) ago, you tweeted that you were long the DX. I could not see what you were seeing. However, as soon as the mkt turned up, with knowledge of your tweeted long position, I went long and the position is performing nicely. My question: do you mind if I ask exactly what gave you the confidence to go long at a time when the DX was clearly in a downtrend? Are you clairvoyant, Jake? If you can see probable turns so clearly that you dare take on a position, you have a talent that I envy. As my instructor and mentor, I will gladly pay to learn this technique if you are willing to teach me. - G. T.
I like your web site. I check it every Tuesday. I have found your analysis and comments very valuable. I think long and hard before I take a trade opposite your recommendation. - J.S. My compliments on yet another excellent lesson. I am truly amazed that all the subjects which you choose to discuss are so closely aligned with my experiences, that it is hard to believe that it is another person actually writing and experiencing them. Many thanks, and keep up the good work! - T.B. I really like your no-bull attitude (you talk my language) and I know you're going to be a great help me in the futures. - M.E. I have been reading the (web) page for as long as you've been on and really appreciate the insights. - A.M.S. Finally I have found a system which makes sense, better than any other I have looked at or tried over the last few years. Thank you for sharing your work on seasonals, and for the instructional pieces in the commodity newsletter. - M.F. I enjoyed your Washington seminar. It has already paid for itself on the 1 week DMark seasonal up. Thanks. - S.
Great web site. It's rare to find useful, FREE information about commodities on the internet. - A.B. First of all I want to tell you how much I enjoy the weekly commentary's. Thank you for your time and support. - S.J. 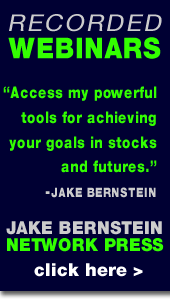 Thanks for helping me make good trading decisions and change from 'loss to gains!' - S.B. I really appreciate that you took the time to answer my question. I was very impressed with you and the seminar, and even more so today. Every once in a while, I meet someone who seems to have some integrity. Today I know I met one. You know we love you for what you are doing to help all of us. Just keep it coming. Your information is very rewarding. Just wish I would be more in sync with the markets. I'll get there. I promise. But keep the info flowing. It's very helpful and entertaining for those of us who think following the commodities is fun. - D.N. Just wanted to send you a thank you note. Not only did i find your information absolutely invaluable, but the service you gave was second to none. It went past the subscribed time length & the flexibility shown on your behalf, ... I like the straight up, no nonsense approach to trading. ...Thanks again Jake. It's been a pleasure to know & learn from you. Very informative gold webinar, thank you. FYI, I have closed profits on GC this year several time over the cost of our mentoring session (using only the MD and 8OC methods) you have literally taught me how to fish ... N.
Your gold forecast was correct. I made a ton on gold in the last couple weeks. - B. S.
I’d never traded Futures prior to the past few weeks – I entered the Silver and Gold September Seasonals – with great $ results last week (still have one gold contract). 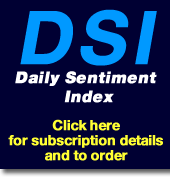 Thanks for the daily ETS reports – they are excellent alerts to review and follow the specific Markets charts. I appreciate your patience and your tenacity in teaching a bunch of people like us. Your mentoring and my participation in the ETS sessions has changed my approach and analysis of the markets forever. The application of your methods has benefitted our farming operation as well as my trading. I am in your debt. 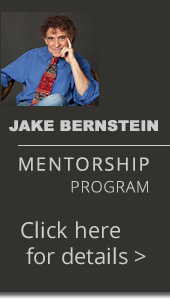 Jake, I meant to write to you earlier this week - before Gold shot up, to say that it was good of you to include those two criticisms of you, which you discussed at the ETS. They actually very nicely pointed out just how good your philosophy and training is. You have always said be objective, be logical, be intelligent and don't listen to what the experts are saying on Bloomberg and CNBC. And how right you are! Your methods are very clear and ought to be obvious to every trader, but they aren't, because the brain gets in the way! I was going to say, on Monday, that your methods had served me well, and thank you very much. Whatever it has cost me to attend your webinars and to take part in the ETSs pales into insignificance when I tot up how much I have made as a result of your teachings.